Walking upright is one thing, but this is just showing off. Today (12/24/12) The Telegraph filed a report about a tightrope walking Gorilla. 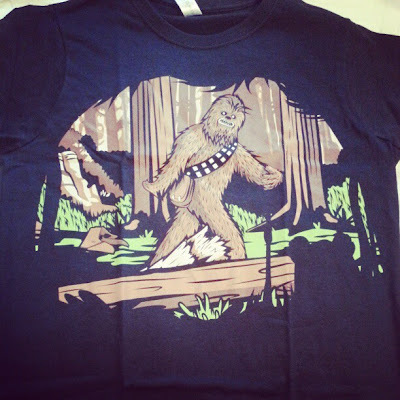 This is of particular interest to Bigfooters since it is suggested that Bigfoot trackways often appear as if the Sasquatch was walking on a tightrope. 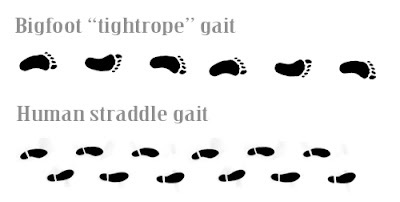 Humans tend to straddle their gait, walking with a wider stance. The London Trackway discovered in mid-February of 2012, had similar traits to fig.1 and many trackways with fewer prints also demonstrate this same formation. First he was homesick, but Kidogo, a gorilla in Krefeld zoo in Germany, now appears to be enjoying himself with a walk across a tightrope similar to daredevil Nik Wallenda. The 12-year-old silverback moved to Germany from Denmark's Givskud Zoo at the end of March. He was acquired by the German zoo after the previous male gorilla Massa proved to be infertile. Kidogo, a western lowland gorilla nicknamed 'King Kodo' by his keepers, shares his gorilla garden with females Muna, 23 and Oya, 24. Roughly translated from Swahili, his name means "small". After he initially suffered extreme homesickness, he has now discovered he is somewhat of an artiste. This year, Krefeld zoo celebrates its 75 anniversary. 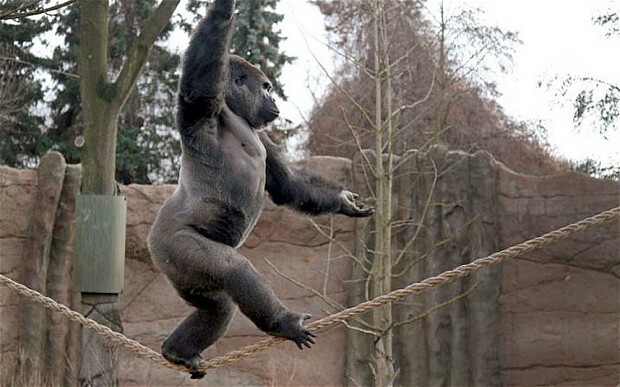 A tightrope-walking gorilla would likely be a highlight of any zoo. Kidogo, with a little more practice, could join the ranks of the great tightrope walkers. In June, Wallenda became the first man to walk across Niagara Falls on a high wire. 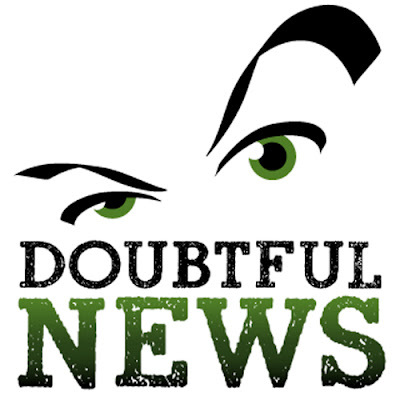 DoubtfulNews.com is where we get our healthy dose of doubt. Ah, well. 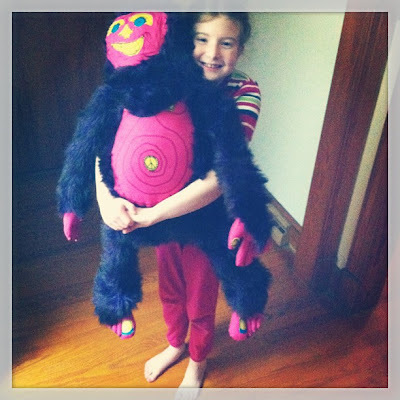 We are at the end of another year of Bigfootery. Guy did a great job of recapping the top stories of the year here and here. 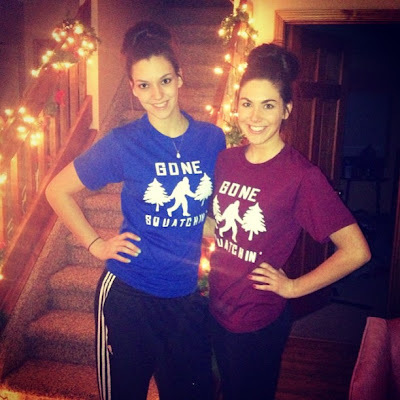 It's been a big one - full of drama, promises, rumors, waiting, poop slinging and dead things. It's not been pretty, to say the least. Guy has graciously let me guest post to give you a little different perspective that might help in understanding the "skeptical" view - that which relies on scientific evidence. I lurk on the fringes of the forums. I occasionally hear some inside news I can't divulge. 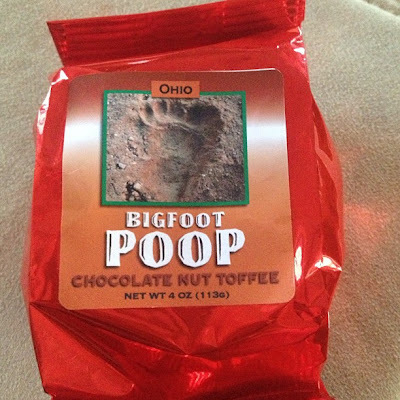 And I take everything I see about the latest Bigfoot findings with extreme caution. Here is why you should adopt that cautious approach as well. 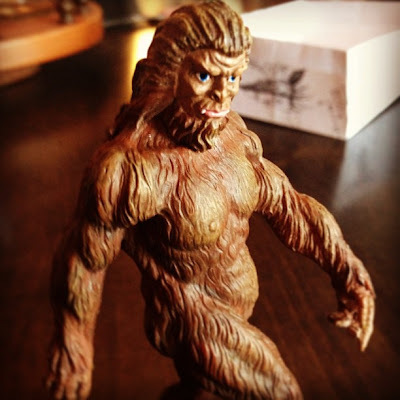 People have been actively seeking Bigfoot for over 50 years. During that time, they have treaded deep into the wilderness, we have extensive new technology, we can remotely photograph animals that are rare and nearly extinct, we can map genomes. It's truly incredible. The researcher can no longer say they need an expensive project or technology to make a conclusive finding, they have that. And, yet, we have no Bigfoot. It's disappointing, isn't it? I agree. I'm disappointed myself. Every year that goes by without better evidence (than eyewitness accounts, blurry videos and questionable photos), the conclusion that the creatures exist only in our fantastic imaginations looms ever present as the explanation we've been seeking all along. Sorry to be a downer. But I'm not one for mystery mongering. Facing up to reality is inevitable. Why don't we have a Bigfoot? Answers range from they are like "special forces" - with animal instincts and human intelligence, trained to avoid humans - all the way to the supernatural realm - they are creatures that can disappear at will into another dimension. All the excuses along the way that pull Bigfoot from our grasp are collectively called "special pleading". Special pleading allows us to give qualities to the creature that are only necessary because we can't nab him. No other animal has the ability to evade scientific documentation for all these years on purpose while simultaneously living under our noses, in our backyards, whooping in the woods and poking around our camps. Put yourself in my shoes. I've never had an experience that I would define as paranormal or attributable to a mystery creature. I suppose many of you are frustrated because you HAVE had experiences or you see the evidence in a different light than I do. That's OK. I don't call you crazy or claim you were drinking. I'd like to know what exactly happened to create such belief. But it's not my belief. Not yet. The rest of the knowledge about our world tells us Bigfoot isn't real. So there I am - on the non-belief side of the fence. But as you can see, I often peer inquisitively to the other side. Maybe there is something to it. I'll have a look. I've spent the last month digging into the Ketchum chronology for a piece to be published in print. I hope I was fair to her because I believe she thinks she has something mighty important. When the paper comes out, I might have an opinion but I have no expertise. I can make no claim to interpret her data, I rely on knowledgable people for that. Since she is claiming a genetic basis, I will hear with interest what others with that background have to say. But I WON'T put stock in what the amateur Bigfooters say (or those who even call themselves "professionals"). They are just as uninformed about that interpretation as anyone else. What they have in spades is an emotional need to accept or deny what is presented. It's part of who they are, how they have defined themselves. Things are messy. The answer is likely more complicated than it appears. I'm willing to concede that things are perplexing; people are complex. I ask that Bigfoot proponents also concede that accepting Bigfoot as real is also complicated in the other direction. For those of us who have stringent standards of evidence, and who know that EVERYONE can be wrong about something, we demand an extraordinary claim meet a very high bar. If we denied everything we would not progress. If we believe everything without solid standards, we are fools. Follow me on Twitter @idoubtit and visit Doubtfulnews.com for the skeptical take on Bigfoot news. 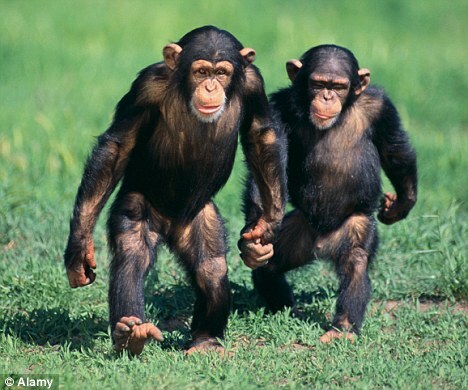 While sharing a Scientific American article titled, "Are Western Chimpanzees a New Species of Pan?" 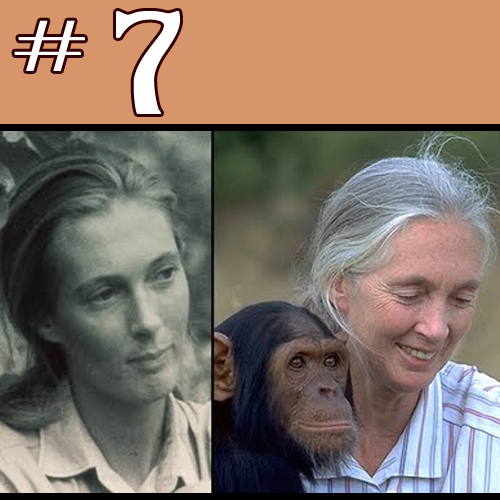 Dr Jeff Meldrum, an Associate Professor of Anatomy and Anthropology at Idaho State University, stated, "Here is an interesting article addressing the diversity of of behaviors of western chimps compared to the better studied eastern populations. These distinctions include: travel and forage at night (Pruetz & Bertolani, 2009), soak themselves, and play in water (Pruetz & Bertolani, 2009). 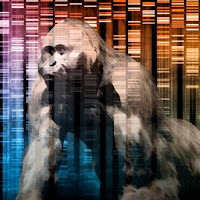 I am again impressed that behaviors attributed to sasquatch which were once thought to be uncharacteristic of great apes, turn out to anticipate discoveries of the diversity of behaviors observed in the known great apes." When challenged by a commentor to explain, "how actual field, behavioral studies of a known species of a Great Ape in Africa, applies to a creature whose traits appear only in anecdotal accounts of sightings of an unconfirmed bipedal animal in North America." Dr. Meldrum replies by making two points. 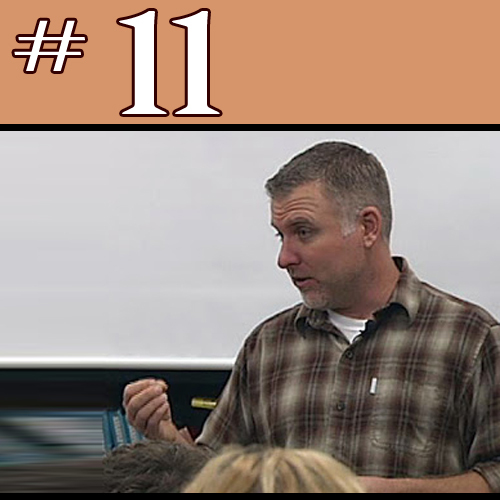 Dr. Meldrum further explained, "I think there are two issues at hand. One is an artificially narrow concept of "ape" behavior that has prevailed, which is based on limited field studies of a few relic populations of what was once a much more diverse radiation. This certainly has bearing on perceptions of the potential nature of sasquatch. 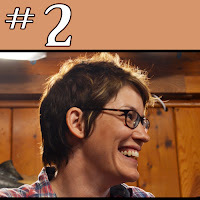 The second is a demonstration that some behaviors anectdotally attributed to sasquatch, were received with incredulity by skeptics, precisely because no known ape exhibited them -- eating fish, swimming, nocturnal activity...These have subsequently been shown to be normal "ape" behaviors." What may be even more interesting is the article that Dr. Meldrum is referencing. It claims there is a bias on Chimpanzee behavior and we are discovering that there may be chimpanzees that that made spears to hunt, lived in caves, and loved playing in water. These are behaviors usually associated with ancient humans. Click the following link to read about these newly discovered chimp behaviors including nocturnal activity. 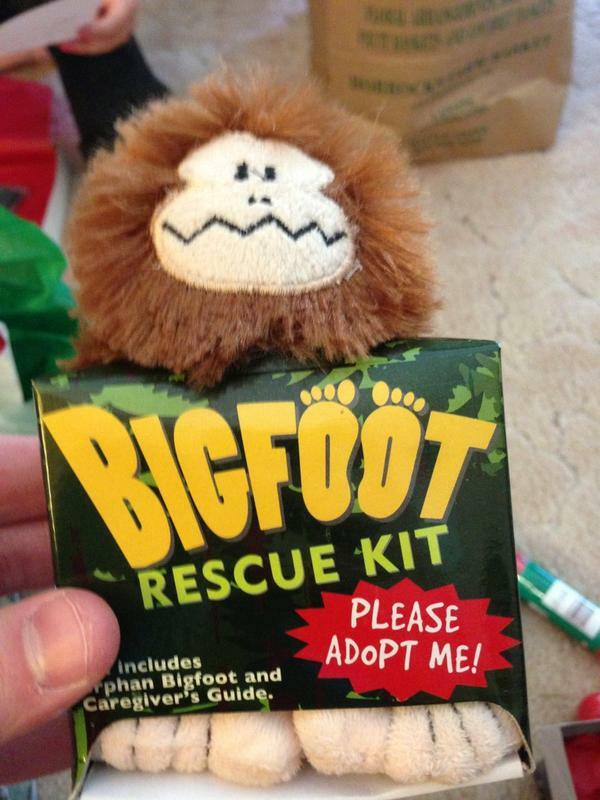 Below are some of the best Bigfoot Christmas presents in the twitterverse. I had help picking these out; my niece Olivia. Sent for DNA analysis, we realized Bigfoot are also part chocolate!! I got one of these myself from my niece! 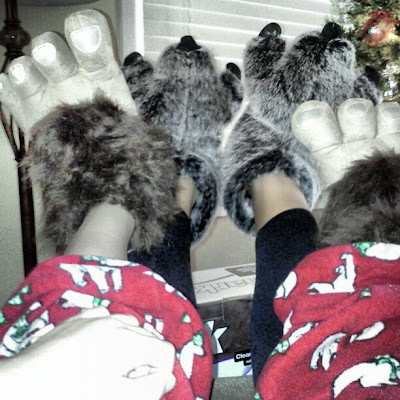 Bigfoot and werewolves "knocking boots" as they say. Hirsute hominids are not particular. Not necessarily a gift, but tweeted today. since Star Wars took place , "A long time ago..."
Patty doing an ornament impression. 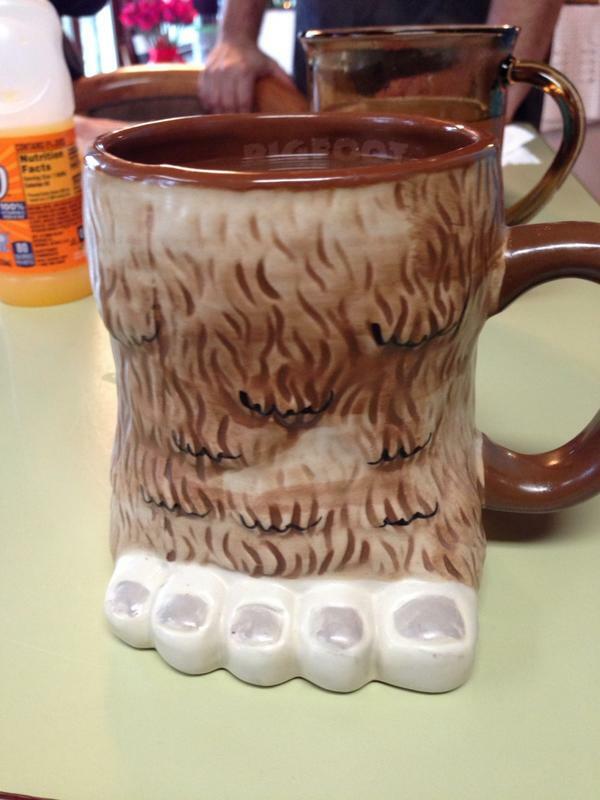 Another place claiming to be "Bigfoot Country"
Bigfoot mug that reveals the word Bigfoot as you drink it. Another ornament. Less like patty and more like Travolta in Saturday Night Fever. 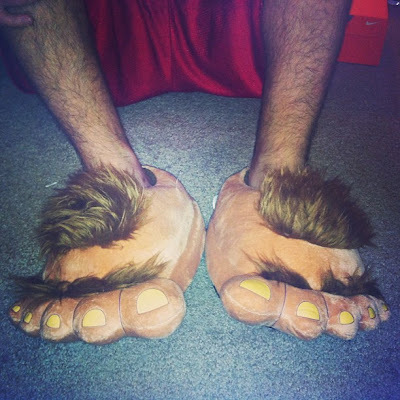 By the look of those legs, those feet may be hairier than those slippers. 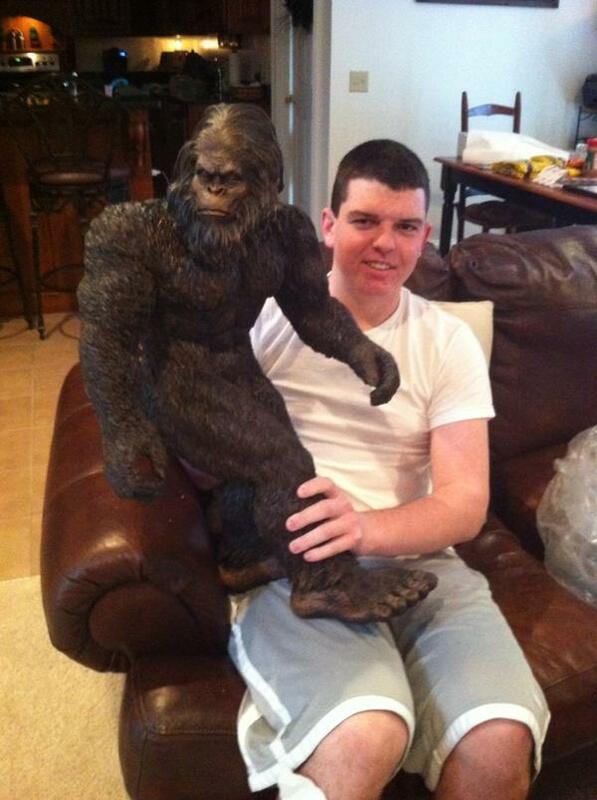 The infamous Bigfoot Lawn Statue. Another reference to a "Bigfoot Country." 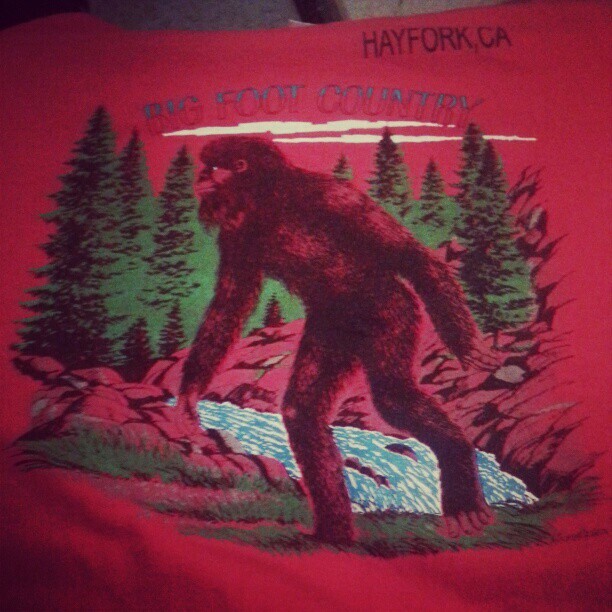 This time in Hayfork, CA. Sasquatch Ice-Scraper. 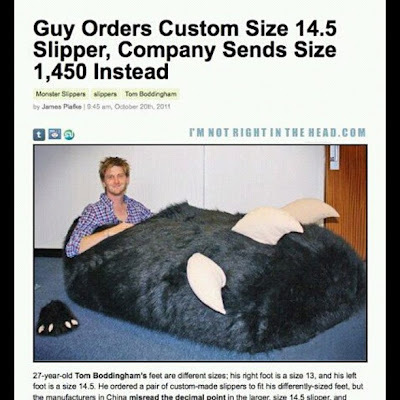 There should be a Yeti version. Air fresher, cool; hunting permit, uncool. 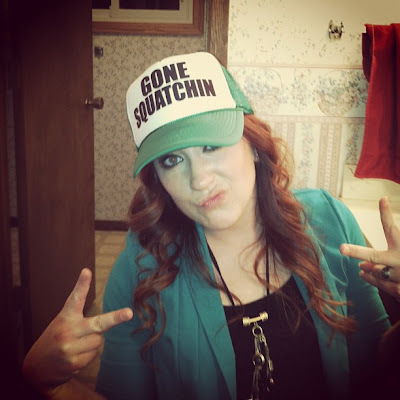 Keeping' it real in bathroom. Peace out! The best gift a purple Bigfoot that has a peace sign for a belly button. Labels: Bigfoot Christmas, Christmas gifts. 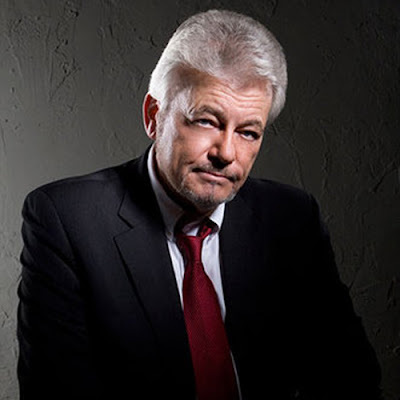 Two and a half years ago Dr. Melba Ketchum along with a retired police officer met with George Knapp, a Sunday night host of radio call-in show Coast to Coast AM (C2C). It was in a Las Vegas restaurant called La Scala. At the dining table George Knapp was asked to sign a Non-Disclosure Agreement (NDA) in order to have access to Melba Ketchum's Bigfoot DNA research. 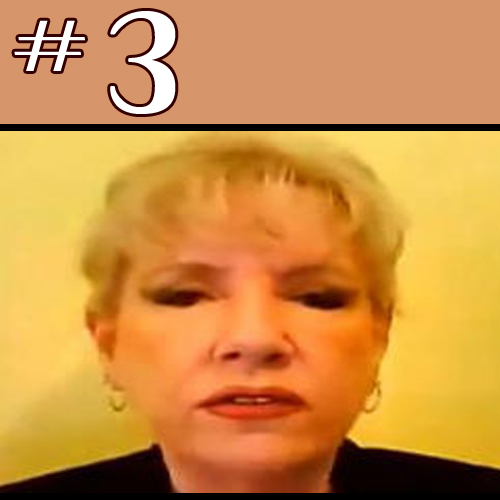 Last night (12/23/2012) George Knapp interviewed Melba Ketchum on C2C to address any updates with her DNA study. 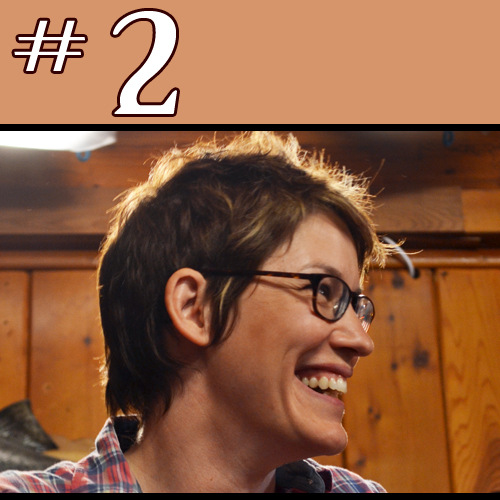 Unfortunately the first two hours were used to establish that Melba Ketchum is well-respected in the international genetics community and tortured by a vicious Bigfoot community. The biggest frustration, for us, is how the Bigfoot community is characterized as being vicious. 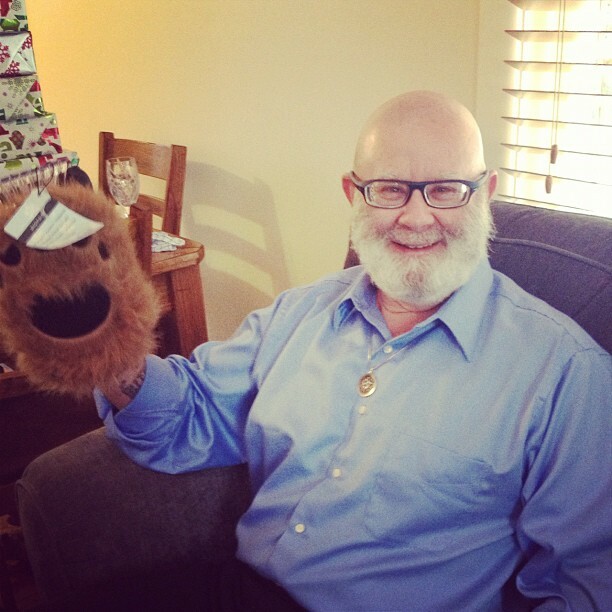 Vicious is how Mr. Knapp refers to the community in his DEC 5th piece, "I’m dreaming of a Bigfoot Christmas"
The Bigfoot community has been even more vicious, mostly because so many of the true believers have staked out their own turf and do not want to see a scientific interloper like Ketchum upstage their often ridiculous assertions or to undercut public interest in the 800 or so cable TV shows about the search for Bigfoot. Notice how Mr. Knapp does not qualify viciousness as coming from a few, it is the entire community that is vicious. A few inarticulate jerks do not make a vicious community. Critical thinkers with questions and concerns do not make a vicious community. 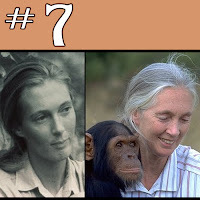 After reading Mr. Knapp's Dec. 5th article you could characterize Melba Ketchum as a misunderstood victim due to her heroic dissent of the accepted consensus of bigfooters. We don't believe Melba is a victim, if she is, it is of her own making. More importantly, in our opinion, she is misrepresenting the community. Last nights interview was an audio version of Mr. Knapp's earlier article with the addition of Melba Ketchum's backup affirmations. It starts out with Mr. Knapp describing, "the most vehement, the nastiest reaction to the aforementioned [Bigfoot] DNA study has come from those that think of themselves as Bigfoot researchers...those folks have worked themselves into a real tizzy about this DNA study, attacking this study and it's principal coordinator with a vengeance...it has been relentless." When Melba Ketchum gets a chance to respond to Mr. Knapps intro she characterizes her critics as jealous. 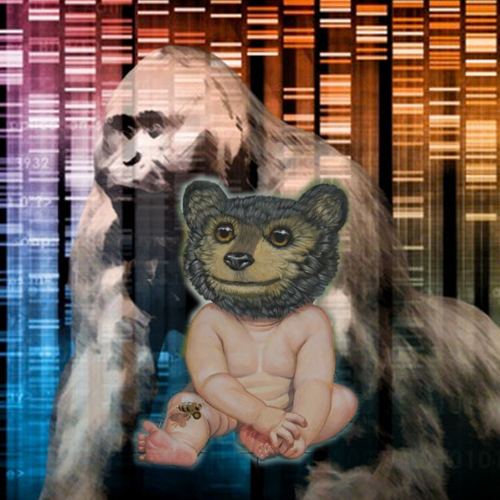 This post is not about the Bigfoot DNA study, we still hope that it sheds light on Bigfoot, or at least increases our understanding of Bigfoot. 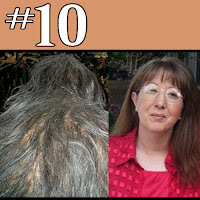 It is about how Melba Ketchum's narrative and press mis-characterizes the Bigfoot community. If you think about it, each one of us probably has a different version of Bigfoot in our minds, and that version has quite a bit of flexibility. Most Bigfoot conversations are like, "Do you think this? or do you think that?" or "I've heard some encounters that support this, but I've also heard encounters that contradict that." In other words, we acknowledge our uncertainty and admit we are curious. Yes we disagree, but we also listen. Bigfooters disagree, but we also listen and above all learn from each other. 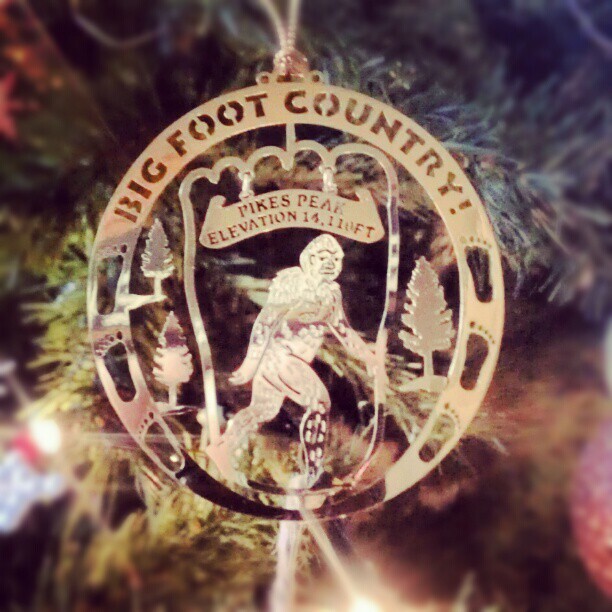 This is the Bigfoot community we know, this is the community we are proud to be a part of. The vast majority of us are not jealous or vicious. We are curious and bonded by the same elusive being that the majority of the world refuses to consider. 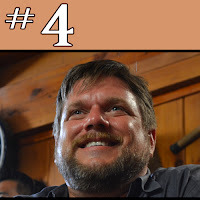 The last time (over a year and a half ago) we did a post about Tim Fasano, it was titled, "Tim Fasano, the "Fifth Beatle" of Finding Bigfoot." In the post we reported Mr. Fasano's claim of turning down an opportunity to be the fifth member of Finding Bigfoot--at least for one episode. Below is an excerpt from that post. Tim Fasano, A Tampa Bay taxi driver, claims he was approached by Animal Planet last November and decided he had too much integrity. He begins by claiming after several emails and phone calls, "It became obvious to me that were looking for sensationalism. And that they wanted someone to almost phony it up." He [Fasano] continues with what broke deal for him, "They wanted me to guarantee they were going to find evidence if they came here. The truth of the matter is, unless I was a hoaxer, as many of you think I am, I can't guarantee you'll find anything"
His YouTube channel, “FasanoTampa,” has hundreds of videos posted, and they've already gotten more than 1 million views. 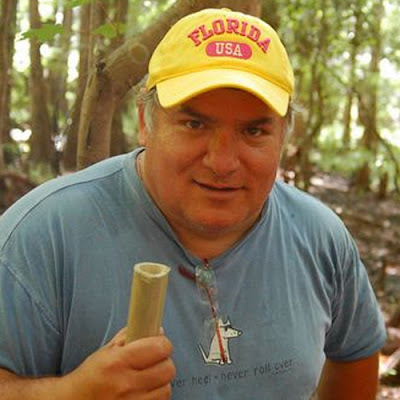 The videos typically feature the camouflage-wearing Fasano wandering Florida’s swamps in search of clues with his camera. Some of his videos are shot at night, when creature sounds are heard and Fasano narrates to a black screen with a voice dripping with drama. Fasano is used to the skeptics. But he’s too enamored with the quest, which probably has something to do with his philosophy degree. 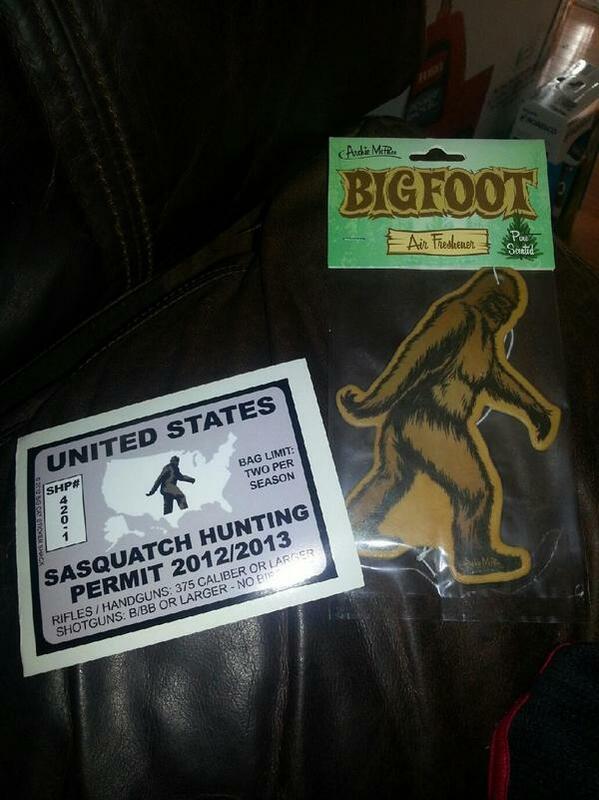 Fasano and a small band of enthusiasts have created something they call the Florida Bigfoot Organization. SRC: The Palm Beach Post article, "Tampa cabbie’s hunt for Bigfoot in Florida swamps, forests yields more exercise than sightings." 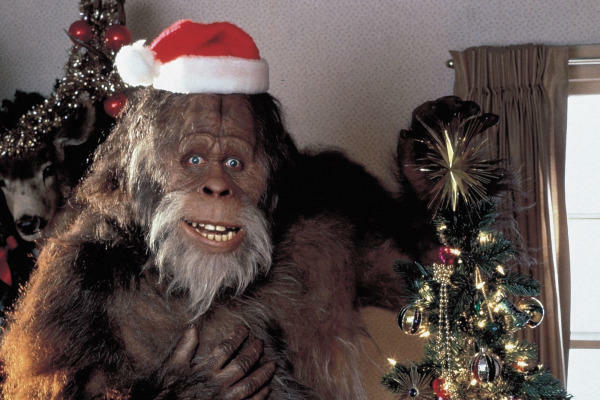 What happened in Bigfoot News this year? 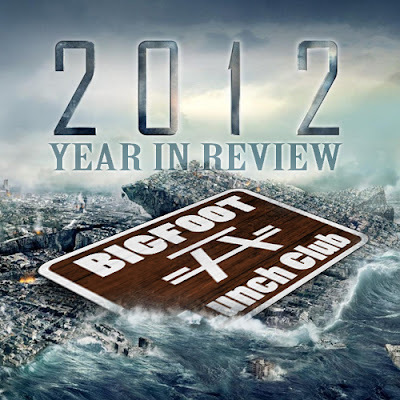 We crunched the numbers and analyzed the statistics and can confidently tell you what Bigfoot Lunch Club fans thought were the greatest and favorite posts! 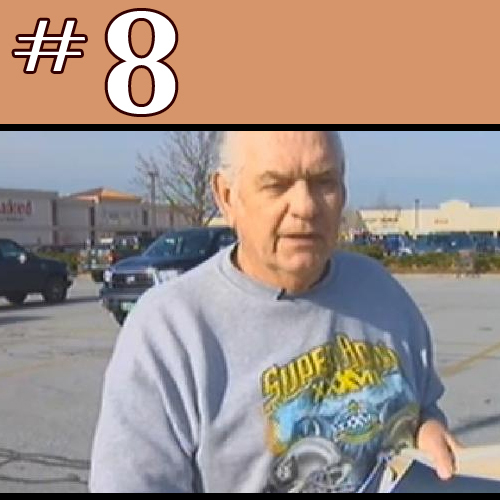 We start the year with Larry the Cable Guy refusing to believe what his own ears heard. In our post. "Larry the Cable Guy Call Blasting for Bigfoot" Larry the Cable Guy goes out with Field research team, Kentucky Bigfoot and does some call blasting. Larry jokingly does a ridiculous call and to everybody's surprise he gets a response. 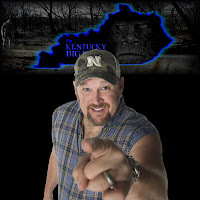 Kentucky Bigfoot's Charlie Raymond told BLC, "In order to make sure Larry and his crew are not pulling a fast one over on us, I contacted Blake Smith, a production crew member...I asked him to ask the crew if they did in fact made the howl, or is Larry simply still in denial? Blake explained to me on 1-18-12 over the phone that he talked to the crew and they did NOT make the howls. February was dominated by a historical track finding 120 sequential tracks made by a possible Sasquatch, coined by Thom Powell as The London Trackway. In our post, "London Trackway: Over 120 Sequential Sasquatch Prints Found" we reported the time line of events from when they were discovered by a passerby (Max Roy), reported to Toby Johnson and casted by Cliff Barackman, Chris Minnier, Thom Powell, Beth Heikenen, and Guy Edwards. 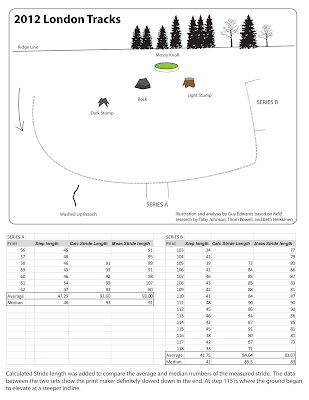 We also include measurements of the Step Length and Stride Length. 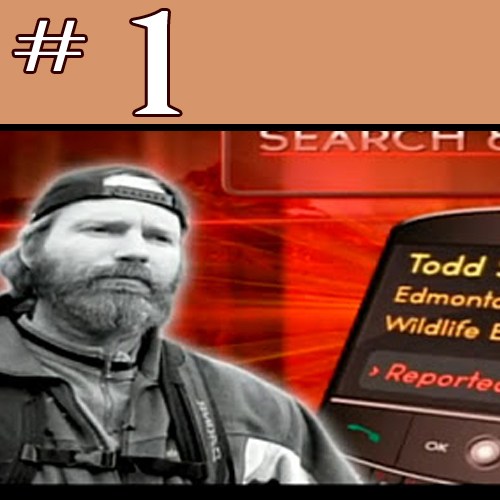 Check out the slide show collection of the best photos taken by the investigators below. 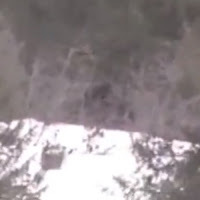 Our initial post, "Melissa Hovey Releases Detailed Bigfoot Picture," was published in late February, but it was the conversation afterwards in March that really made this photo interesting. This photo which was sent to Melissa Hovey in 2008 was polarizing from the beginning, causing copyright disputes and YouTube channels to be shut down, personal attacks etc..
We took a slightly different route and asked two of the best special effects make-up artist to weigh in. We asked Bill Munns (Creature of the Black Lagoon) who said, "If it is fake, it does represent a fair amount of both skill and expense on the part of the fabricator." Mr Munns went on to comment about the fur, "This is not standard cheap fake fur. 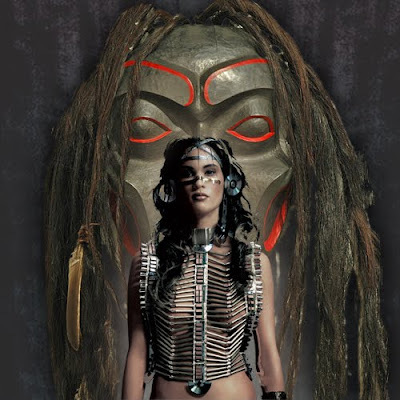 Such is occasionally seen with custom hair made by National Fibre Technology (NFT) for movie creatures, but it's not cheap." We also asked Lee Romaire, (Letters From the Big Man) who also commented on the fur, "The fur is simply too uniform in color, density and direction to be authentic...The hair used here is identical to an expensive brand of fake fur that we use. This particular fur type is called werewolf fur, woven on a 4 way stretch fabric (which is identical in color to the skin showing under the fur in the photograph). " With both experts independently identifying the type and brand of fur, astute reader, Rodney Young, actually went to National Fibre Technology (NFT) and asked for free samples to compare the fur with the photo. 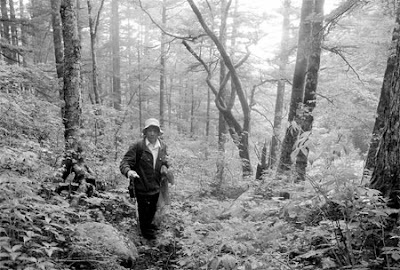 MK Davis is most notable for his stabilization of the Patterson Gimlin film. He is still doing video analysis. In our post, "White Bigfoot or Patchy Ungulate?" we shared MK's recent work on VHS tapes he recieved. The tapings were part of a four-year project producing over 50 six-hour VHS tapes (that's 300 hours). MK has had them for about six months and has digitally transferred the VHS tapes himself. These videos were taped on a land that was initially purchased because the current owner was looking for Indian artifacts, like arrow heads and what have you. Eventually he kept coming across large prints and tracks and wanted to know what could be making them. 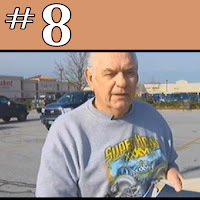 With the help of a technical savvy person he set up a surveillance cameras. MK's Video analysis is below. Our position? The video is non-definitive, there simply is not enough information to determine, or rule out, anything. MK insists, "Its definitely not a cow or an ungulate, I'm pretty sure of it because I got better pictures of it..."
According to Rhettman Mullis, President of Bigfootlogy, the idea of doing Bigfoot DNA research was a joint brain-child of himself and Team Bigfootology member Dr. Anna Nekaris who is a colleague of Dr. Bryan Sykes. Bryan Sykes is a professor at the University of Oxford who has written the critically acclaimed book Seven Daughters of Eve. A book that suggests that, based on genetic DNA research, all modern Europeans can be classified into seven groups. 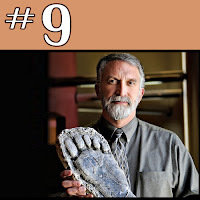 This "news" was officially released on May 22nd, but you read it here first in our post, "Dr Jeff Meldrum Participates in Oxford University Genetic Bigfoot Study" In our post Dr. Jeff Meldrum mentioned his participation at a NW Bigfoot Conference. 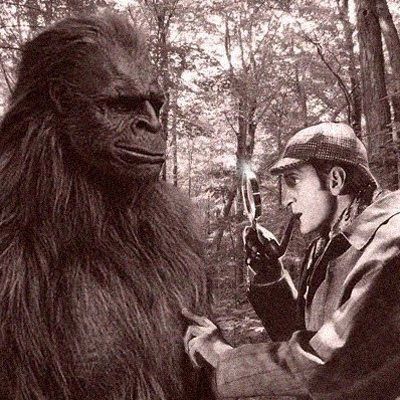 Eventually mainstream media caught up with the Bigfoot DNA News. 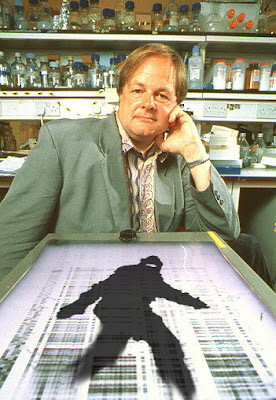 Mixed reactions followed, Dr. Meldrum was careful to announce this as a parallel Bigfoot DNA study. Another study had already been in progress headed by Melba Ketchum of DNA Diagnostics. Some felt this was a threat to the Ketchum Study which has been promising peer-review and journal publication for years. Rhettman Mullis makes the distinction that the Sykes study is not only about peer-review and journal publication, "There are two different things happening. Dr. Sykes is writing a book on the findings... they are also filming a documentary that will be three one hour shows about the event." 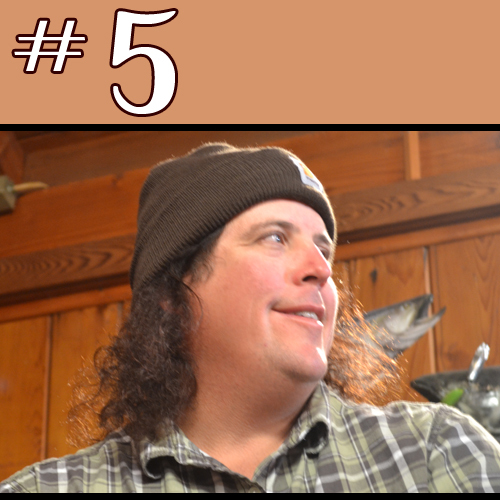 At BLC we hate Bigfoot videos, which is a shame because it seems most people are interested in them. Regardless of our own personal feelings, we still report the Bigfoot news. In our post, "Watch Video of Jeff Meldrum Discussing new Idaho Bigfoot Video," we share a report from an ABC affiliate covered a possible Bigfoot video taken by three students. 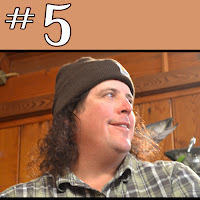 Later this year the popular TV show, Finding Bigfoot opened the third season with an episode called, "Ripped from the Headlines." In this episode they do their own investigation of the video and the footprint photo attached to the same incident. Watch two clips from the episode below. This only the first half of the Year! GO TO PART 2 NOW!! 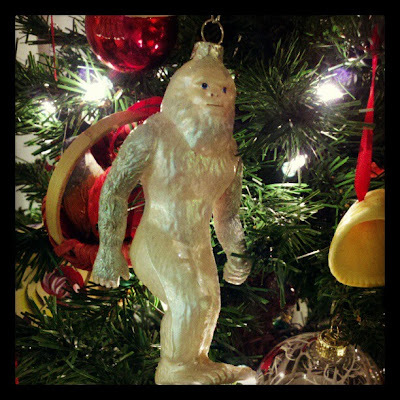 What happened in Bigfoot News this year? We crunched the numbers and analyzed the statistics and can confidently tell you what Bigfoot Lunch Club fans thought were the greatest and favorite posts! This is Part 2 make sure you READ PART 1 FIRST! In 2010 we shared the story about the Hubei Wild Man Research Association looking for 100 scientist and explorers. Later that year we shared the Yeti hair research by The Shennongjia Nature Reserve. 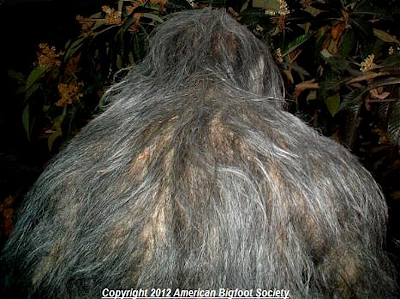 Then in July we announced China's effort to Explore Virgin Forest Home of 'Bigfoot'. Later it was a man not an institution that would inspire us to learn about the Chinese Bigfoot known as yeren. Perhaps because he reminded us of ourselves, spending time in the woods, at times feeling obsessed and driven to get another glimpse--another sound. 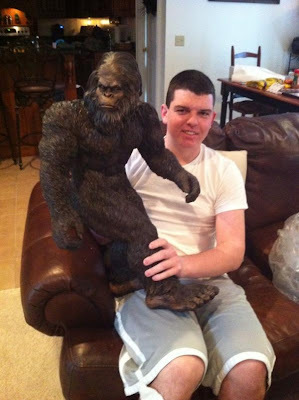 In our post, "One Man's Inspiring Story about China's Bigfoot" we introduced you to someone's who's heart and curiosity was close to ours despite being an ocean away. For the past three decades, Li Guohua has had just one mission in life: to find the legendary "Wildman" in the thick forests of Hubei province. He can't recall how many times he almost lost his life to unexpected cold, falling into canyons or fighting bears. He was even mistaken by police for being an armed fugitive when trying to trace the ape-like Wildman in the mountains of Shennongjia, the scene of numerous witness reports of this elusive ape-man. The retired 62-year-old firmly believes in the existence of Wildman and plans to organize an exploration team. "Although I am not as vigorous as I used to be, I am still strong enough to climb mountains and with my experience I can guide young team members," he says. 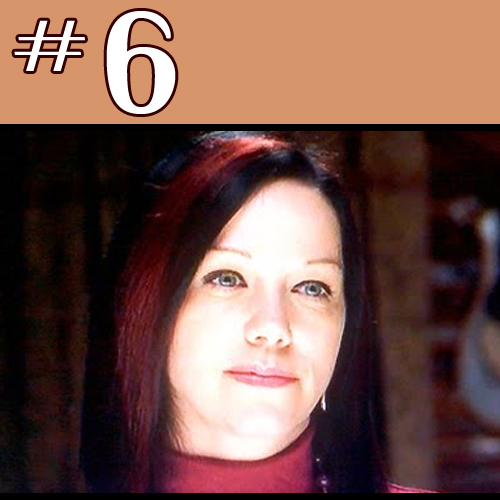 "I am sure I will find a Wildman and be able to provide solid evidence if I can get support from others." 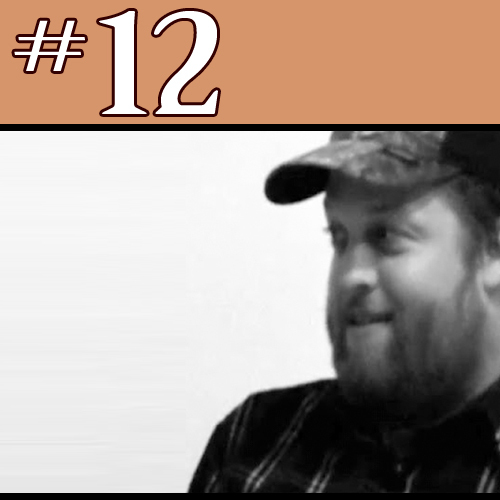 Justin Smeja claims he killed two Bigfoot, to many in the community he is synonymous with the term Bigfoot Steak, for the slice of thigh meat he carved from one of the dead Bigfoot. His "steak" is being independently tested for Bigfoot DNA. As you would expect he is a controversial figure, not only for his suspected credibility, but his stance on killing Bigfoot. For many in the community it is taboo. Despite his "bad guy" reputation, almost all who have met him personally have befriended him. In July Ro Sahebi of The Bigfoot Report did a fantastic interview with Justin Smeja. It was August though that put Mr. Smeja on the map. 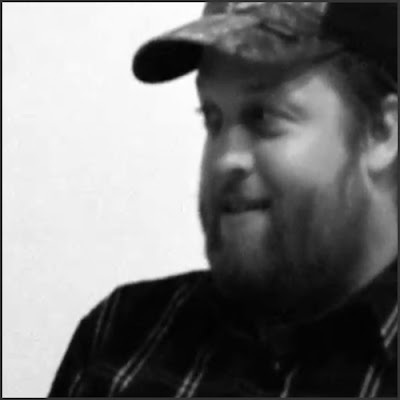 This was when he passed a polygraph test backing his claims to have killed two Bigfoot. Our two most popular post were reactions from the key players and our exclusive interview with the polygraph examiner. This was the biggest disappointment of the year. Although we were there to investigate the tracks, the best reporting was done by Thom Powell of ThomSquatch.com. In Thom's post, "The Elbe Trackway: I Doubt It," he states his initial apprehension that lighting doesn't strikes twice. He helped investigate the London Trackway in February. Using the London Trackway as a reference, over the next two-weeks after the investigation he found the evidence un-compelling and announced it as a possible hoax. Unfortunately Thom's suspicions turned out to be completely accurate and the hoaxer was outed as someone that was among the community. Hoaxes sting worse when it is done from within the community. 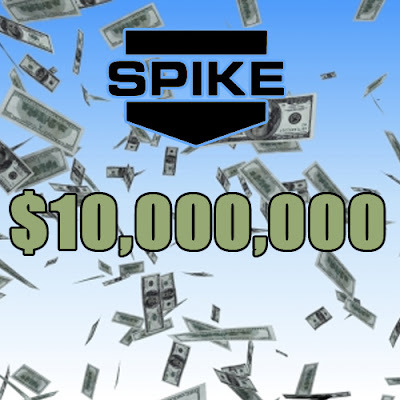 In late October we announced in our post, "Spike TV's 10 Million Dollar Bigfoot Bounty," that there was going to be a reality-based game show pitting teams of Bigfooters together competing for a $10 Million prize. The biggest prize in TV History, there is a stipulation of winning the prize. 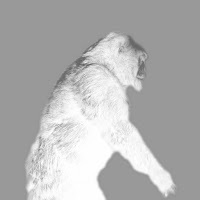 According to the press release, the teams, "will be faced with the daunting task of proving to a group of experts that Bigfoot, the hairy ape-like sasquatch, exists with the irrefutable evidence." Proof hasn't happened yet, maybe a monetary incentive will help. We also investigated how a show can afford to have a huge prize insured in our post, "How Can Spike TV Afford a 10 $Million Cash Prize? They Can't." As of now they are currently still taking submissions for candidates. November got the attention of the Mainstream media. At first everybody was talking about the Bigfoot Blimp. Officially called the Falcon Project, we announced Dr. Meldrum's support in our post, "Dr.Meldrum Backs 3-Year-Old Bigfoot Blimp Project"
the general consensus was Ketchum's biggest challenge is to insure that she was able to minimize contamination completely. We have gone on record as having a few concerns ourselves; pushing back the deadline of publication, DNA Diagnostics previous inability to deliver test results on time, and over all irresponsible communication about scientific results. Some in the community can not understand how we can hope for success and have concerns at the same time, but we really do hope Melba Ketchum makes a contribution to Bigfoot research. Although not strictly a December phenomena, but our most popular stories are about the contributions made by Native Americans. The White Apache Nation announced that Bigfoot sightings have increased. If you have read Thom Powell's Op-ed, Native American names for geographic location are clues to best Bigfoot areas. 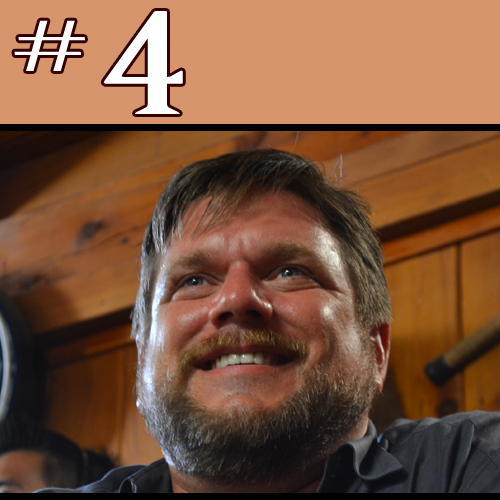 The Navajos have been more forthcoming about Bigfoot Sightings thanks to great research done by J.C. Johnson. 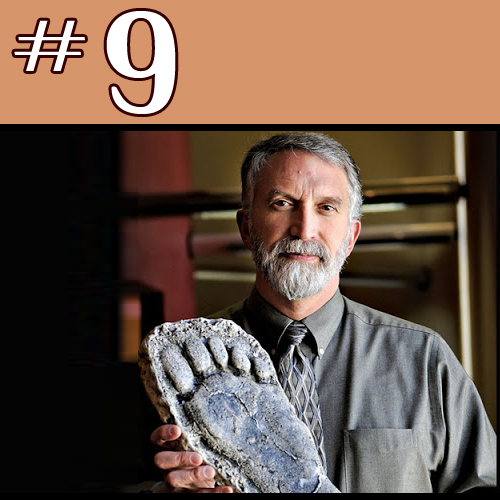 Finally, we learned from archaeologist, Robert Muckle, that at least one indigenous group had specific instructions for the archaeologists working within their territories, "report any Bigfoot sightings to the Indigenous group and thereafter maintain confidentiality." 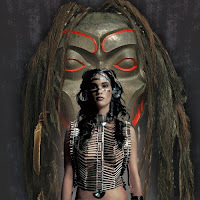 We respectfully request Native Americans to share the oral traditions and help us understand Sasquatch as you do. Thank you fans! Each year gets better and better. Your support and comments are appreciated; critics and supporters alike. Each one of you helps make BLC a better website. I hope you know how much I love doing Bigfoot Lunch Club.